Whether you are doing a unit or themed study based on How the Grinch Stole Christmas, or you want to add a little crafty fun to your family Christmas movie night, this simple Grinch Paper Plate Craft will steal the hearts of everyone. Cut out the person template, set aside. Cut out the quote of your choice & hole punch each end. Decorate and string the yarn through the backside. Fold the paper plate in half. Trace the template onto the plate, making sure the hands and feet connect in the middle fold. Cut the person out of the paper plate, keeping the plate folded & making sure not to cut the hands and feet that connect. Open to reveal two people. Color as desired. Cut the top of the hat area in the shape of antlers for Max. Hole punch the hands and tie the yarn to each end to hand the banner. Fold at the center and stand up. The Grinch is ready to steal Christmas! Homeschool Educational Free Market uses ads, affiliates, and referrals throughout the website in the sidebars, posts, and pages. Sign Up Here for Email Updates, Monthly Newsletters, & Exclusive Subscriber Freebies! Looking for a specific resource? Search Here! 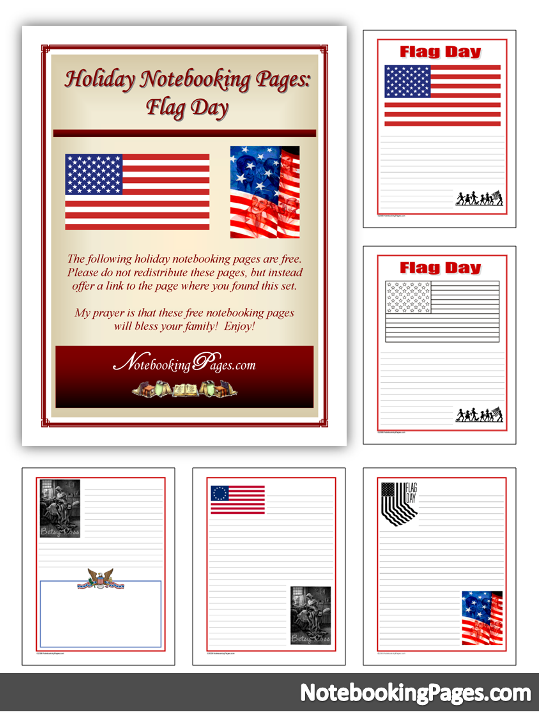 Flag Day Notebooking Pages from NotebookingPages.com. Copyright © 2019 Homeschool Educational Free Market. Buntu by Nilambar.